Dark Harbor is comprised of not only 6 fantastic mazes (3 on the aforementioned ship), but secret ‘hidden’ bars, tons of ghoulishly delicious food, and enough scare actors to keep you on your toes throughout the night. 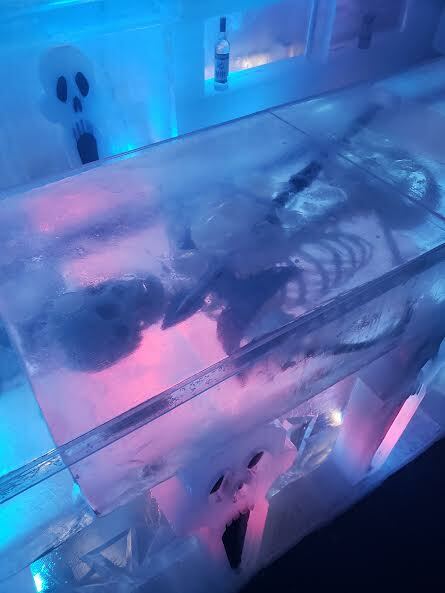 The atmosphere is frightfully fun, and if you need to cool down (and are over 21) – step into the 9 degree Ice Cave bar for some tasty Vodka shots and great photo opportunities. As far as the mazes, they were all devilishly delightful – but the first of my two favorites was Lullaby. Pretty much anything to do with creepy dolls or girls dressed up like creepy dolls (especially playing the piano), will win me over. Add to all of that the fact that this maze is located inside the Queen Mary, and it definitely left it’s mark. My favorite maze of the night though, was Circus. A colorful, oddly enchanting, and unnerving trip through rooms consisting of clowns (duh)……carnies, ventriloquists, and other horrifying circus folk (and maybe even someone dressed up like a cymbal crashing monkey). I couldn’t get enough of Circus, and it easily was the maze highlight of the night for me. So another year, and another Dark Harbor in the books. Honestly – it was better this year for me, as I noticed little details that I hadn’t in past years. One of those details being the makeup on the scare actors roaming the area (bravo….). All in all, a great way to kick off October and get myself ready for Halloween. So if you’re in the Southern California area this year…….get on over to The Queen Mary’s Dark Harbor! 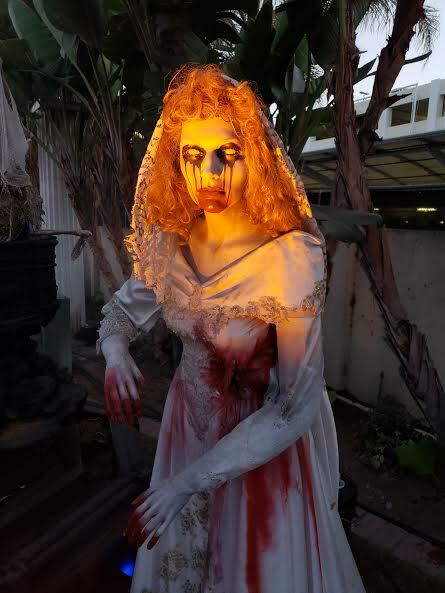 This entry was posted in Review and tagged dark harbor circus, dark harbor ice cave, dark harbor lullaby, dark harbor review, dirty horror, haunted houses, haunted ship, haunts, long beach, queen mary, queen mary dark harbor, queen mary dark harbor review, queen mary long beach, southern california haunted houses by Dirty Horror. Bookmark the permalink.